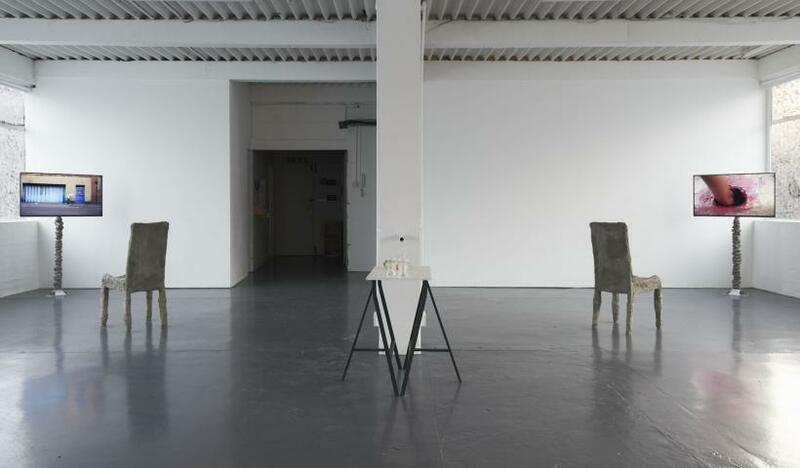 Mitra Saboury’s two-part solo exhibition at Grand Union, Birmingham follows an intensive residency by the artist in the summer of 2015. 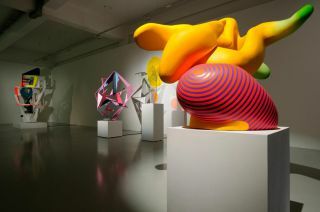 The resulting show demonstrates the psychologising effects of materials on the brain and the body, and immerses the viewer in an interrogation of space by using sculpture, performance, video and interventions in the gallery space. 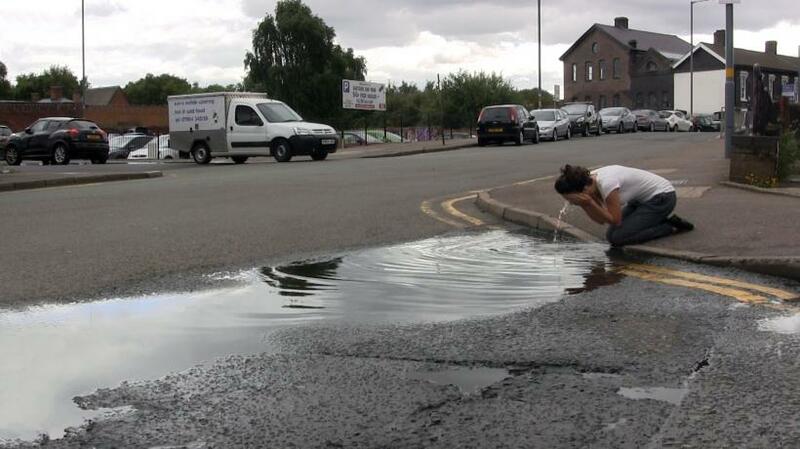 The artist utilises her own body to explore the landscape of Digbeth - an area of Birmingham’s industrial heritage, which is rapidly changing due to recent gentrification – through various sensory devices including touch, sound and taste. 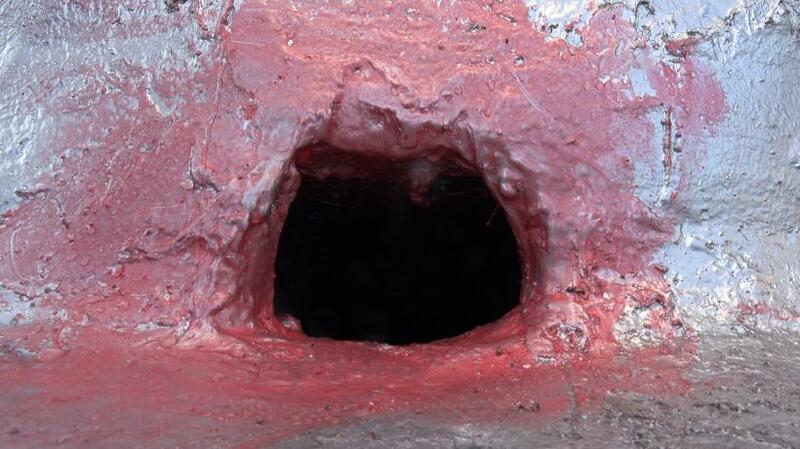 The result is a crossing of boundaries that question depictions of the female body as sanitised and contained. The video works depict Saboury conducting various actions with her hands or whole body. 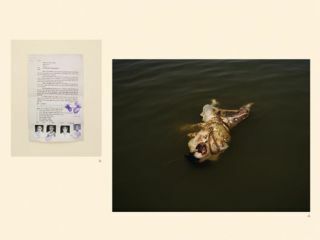 Sexuality and sensuality are alluded to, but not through avoiding dirt, mess and waste including bodily fluids, abandoned knickers and taboos of proper hygiene – Saboury brushes her teeth in the city’s puddles. 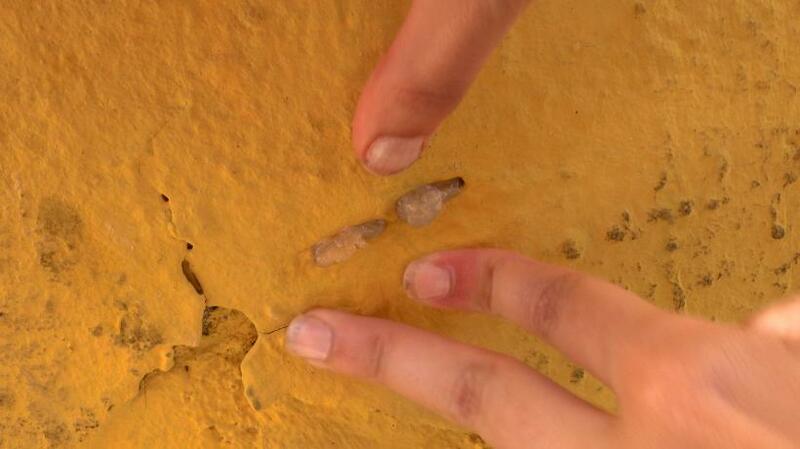 She also denies gender-norms of grooming as a video depicts her shaving concrete off her face in laborious gestures. 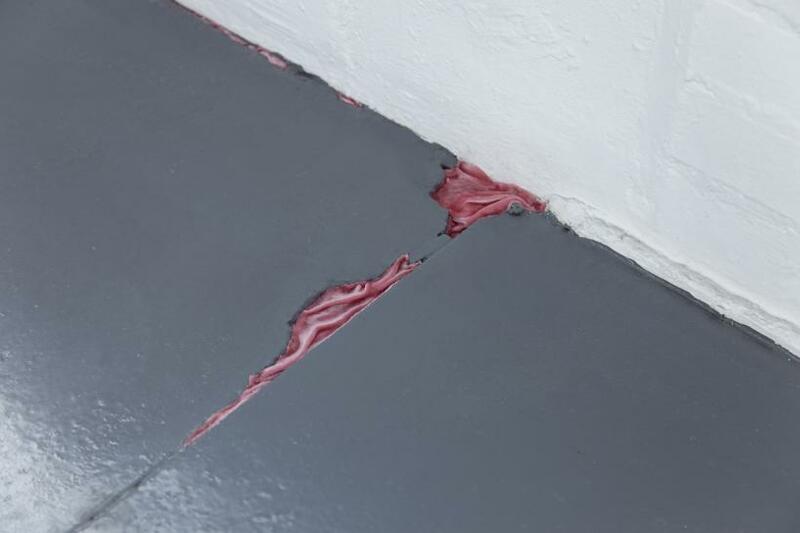 On the floor are pink velvet-filled cracks which we are invited to touch – making pleasure secondary to acts of futility and failure in her use of bodily extensions or modifications where videos depict attempts to push a uniform sized concrete object into various-sized crevices in walls throughout the city. In another video, a concrete cast of her body is worn as a shell and used as protection from the surrounding environment which resides between homelessness and absurdity when a passing security guard taps on this camouflage-device. 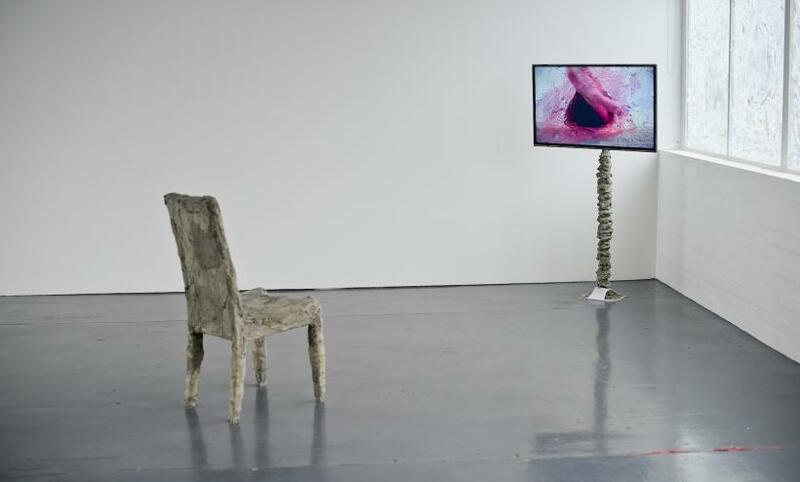 To watch the video works in the main space, Saboury has created four concrete-covered chairs which have the index of buttocks and thighs indented into the seats. Each video screen is perched on top of a pole covered in uneven, spiralled concrete masses, the base of which oozes outwards with a pair of knickers with the crotch upwards stretched over the them. Dust is left on my clothing as I get up from each chair – a further index. The over-exaggerated soundtrack is of particular importance as it adds squelching, hammering and smearing noises to these ‘unsanitised’ actions and bodies. 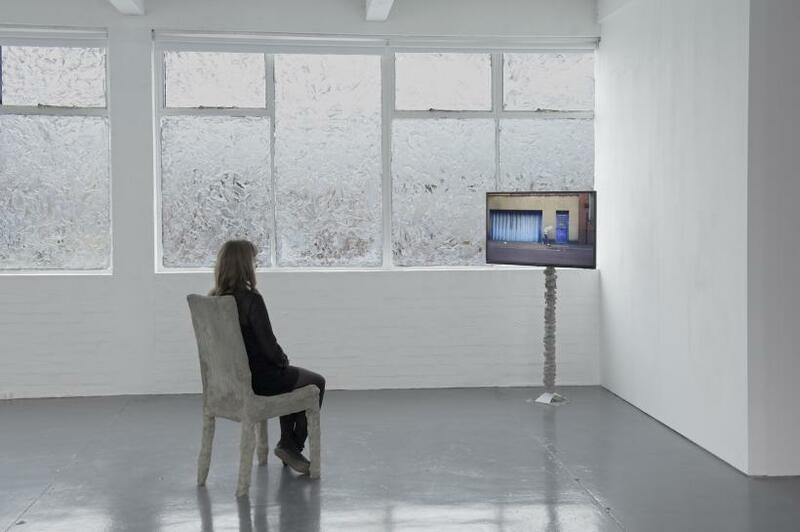 Saboury is based between London and Los Angeles but her show engages closely with the Digbeth area of her residency as well as the specific space of the gallery. 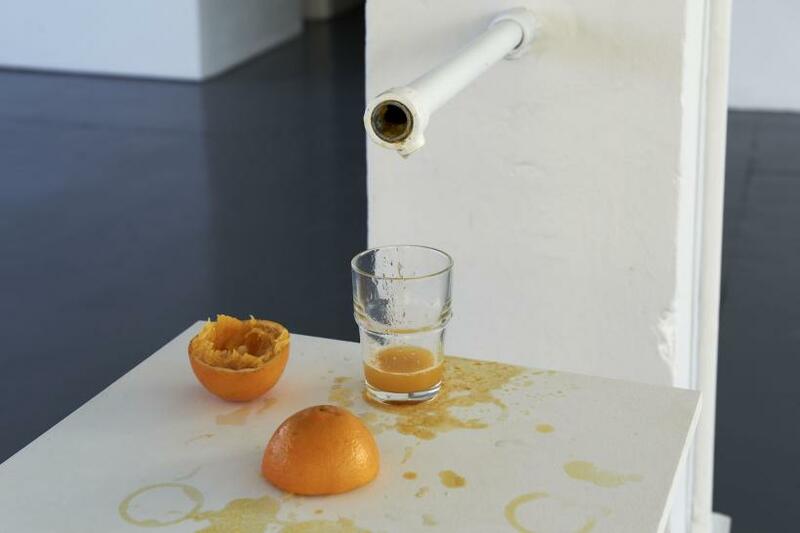 Every aspect of architecture and space is considered and utilised including the central supporting post - at the opening she squeezed orange juice for attendees on a rod that she had inserted into the gallery beam. 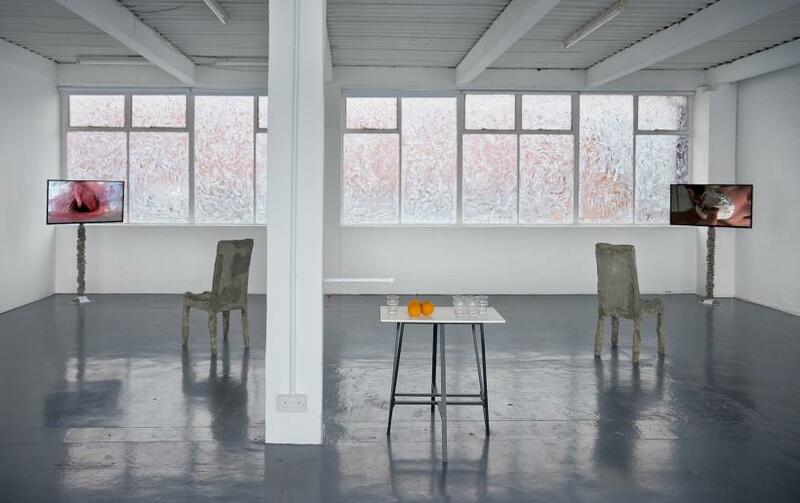 She has also smeared the windows of the gallery with transparent silicone, so that the usually impressive view of Birmingham’s industrial heritage is partially obscured. 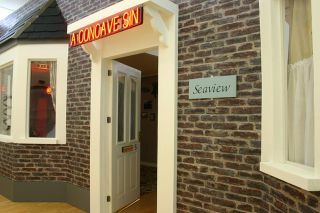 The effect of this is a forced re-examination of space and place through the eyes of Saboury, and a sense of intimacy, which is further reinforced by videos in the gallery side room that are obscured behind a red brick wall so that the viewer is forced to duck down in order to view them. 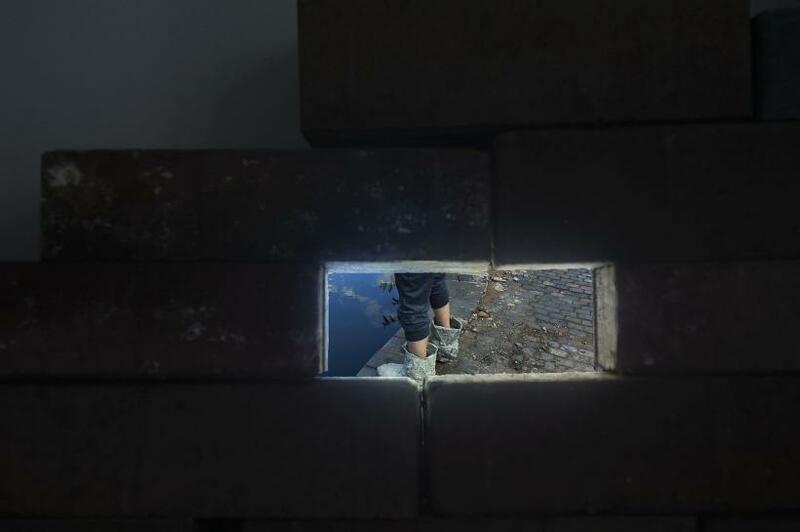 The overall effect of this is an immersive performance where the artist, viewer, architecture and city interact with one another to create fluid boundaries between the inside and outside, organic and industrial.